I am just lucky enough to travel overseas and it was in Australia that I have been to for 3x already since 2005 and that is the only country outside the Phils. I have been so far. I can’t count Hongkong bec. I only been there for a 3 hour stop over for a connecting flight. Traveling is always been fun even though it is stressful at times but the places, the culture and the people that I have seen and known are just priceless. Every time someone asks me where my dream vacation is then the answer that I have over and over again is in Paris. I would really love to see the Eiffel Tower and to see more great places there. My interest grew more when a saw a travelogue on TV and I reckon it would be magical and interesting to just explore this popular place. I hope this will not stay only as my dream. For those that are planning a vacation in Paris, it is but best to find affordable Paris Hotels bec. as we all know taking a vacation needs a budget. Traveling to Europe has always been a dream to most of us who wants to trave l and enjoy different cultures. Cities like Paris, Venice, Rome and Amsterdam are just some of the cities many tourists put in their iterinary. 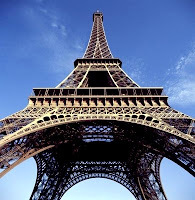 Paris boasts of the Eiffel Tower, Gondolas in Venice, Rome’s and Amsterdam great architectural pieces and more. Should you be planning your great European tour then you’ll never go wrong with those cities. But first you need to plan your trip way ahead and look for some Venice Hotels or Amsterdam hotels that are cheap and affordable bec. in that way you have extra money for leisure tripping and shopping. Happy travelling !